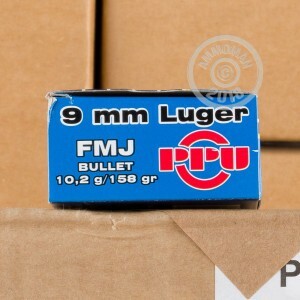 This 9mm ammunition packs enough punch for all your shooting needs. With 158 grains, each round features a full metal jacket projectile for ultimate functioning on the range. These rounds are loaded in non-corrosive, Boxer primed brass cases that are reloadable and achieve a muzzle velocity of 950 feet per second. Prvi Partizan was founded in 1948 in Uzice, Serbia, and produces over 400 variations of small arms ammunition. The company prides themselves on manufacturing their products with the highest quality components and continuous quality testing. With strict attention to details, you can be sure you are getting some of the most reliable and consistent range ammo on the market. 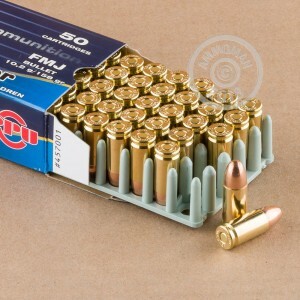 Get your ammo from Prvi today and save big! 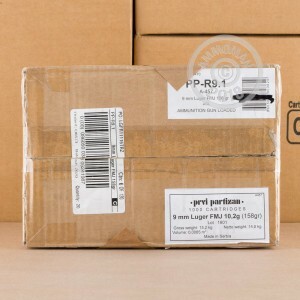 Don't forget, if you order this 1000 case of ammo or any other products over $99 you will receive Free Shipping!